Kumihimo is the traditional and ancient art of braid making from Japan. I first became interested in this art when I wanted to make a unique sageo for myself for iaido practice. I found an amazing book written by Jacqui Carey and my husband began work on my muradai and tama. Fifteen years later I have numerous muradai and tama and have made dozens of sageo for people all around the world. A few years ago I was lucky enough to travel the Seattle for a world braiding conference and not only met Jacqui Carey, but participated in one of her classes. I was also taught by a few Japanese masters and counted myself very blessed to be a part of a great conference. In only a few days I learned enough about Kumihimo to keep me braiding for many more decades. 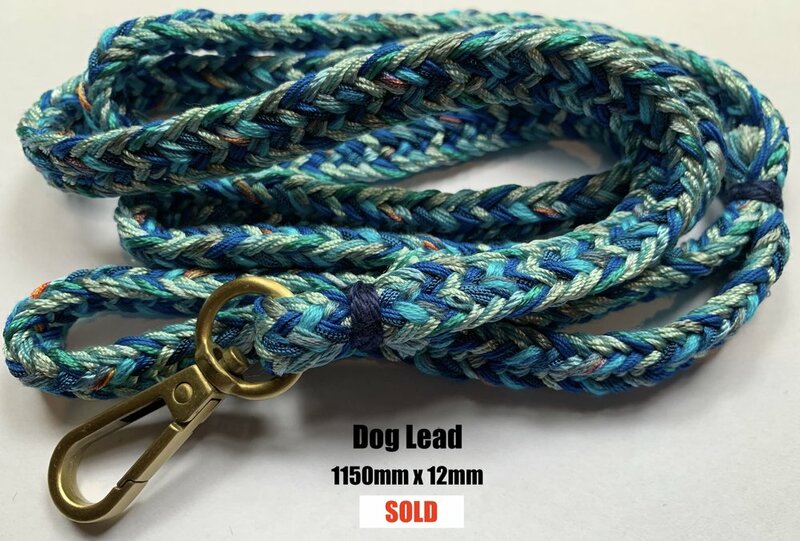 Kumihimo has many uses though I have concentrated my efforts over the years on creating beautiful sageo and more recently unique dog leads. Most of the sageo I make for local iaidoka are approximately 230cm long and my sensei likes his longer, about 250cm. A width of 10-12mm or just under 1/2 an inch fits nicely into the standard KURIGATA. Each sageo takes up to 5 hours to make using the traditional muradai (loom), tama (bobbins) and quality cotton and/or rayon thread. Silk threads also make beautiful sageo though they are more expensive. A similar sageo handmade in Japan would cost more than $500AUD. And they are very hard to find - I know, I looked and that is when I decided to make my own. Colour combinations are endless however I usually stick to two contrasting colours. Some of my clients prefer to have their sageo made in their dojo colours, others to match their TSUKA MAKI (the handle wrapping) colours. 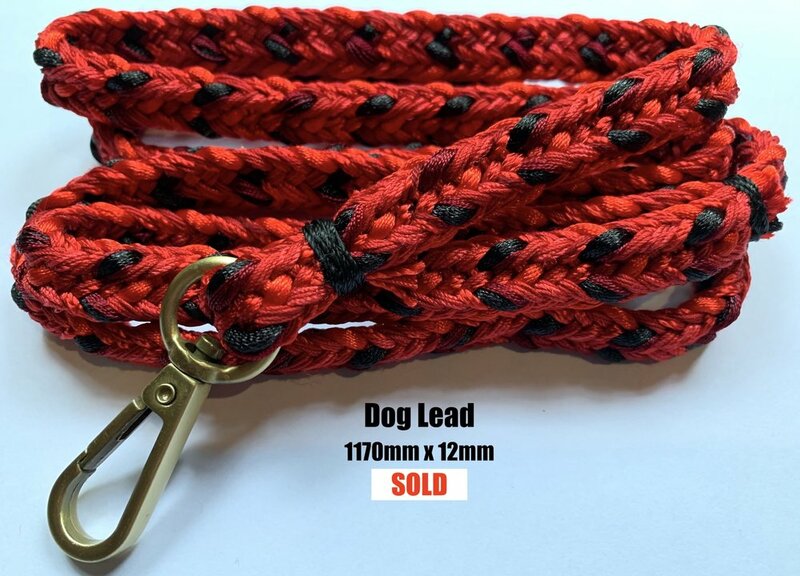 Each commissioned sageo will cost $160AUD for a cotton and/or rayon katana sageo and $300AUD for a silk katana sageo, regardless of length (max 3m) including shipping within Australia. International shipping is $30AUD, which includes insurance and tracking. Check this page for stock sageo at a discounted price. Once you have selected colours and pattern, it typically takes about three weeks for production and delivery, depending on where you live. These are stock sageo and available now for shipping for the discounted price of $110 including domestic shipping. They are 2-2.4m in length and 11-15mm wide.